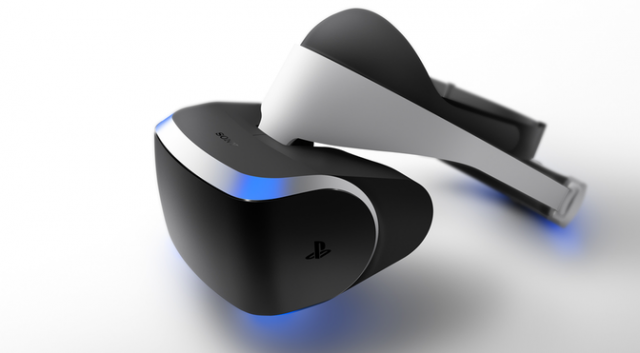 Yesterday at the Game Developers Conference in San Francisco, Sony’s Shuhei Yoshida publicly announced Project Morpheus. Aimed squarely at developers, this prototype VR helmet holds a lot of promise. 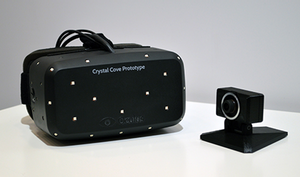 It sports a 1080p head-mounted display with a 90-degree field of view comparable to the Oculus Rift. The helmet uses built-in accelerometers and gyroscopes in conjunction with the PlayStation Camera for high fidelity head-tracking, and it works in tandem with the DualShock 4 and PS Move for in-game interactions. There’s no way to tell how well the helmet works until we try it in person, but everything seems to be in line with what we’d expect from a VR product in a post-Oculus world. From the beginning, a PS4 focused VR solution seemed like an inevitability. Rumors have been bubbling for months regarding Sony’s plans, and executives were hinting at Project Morpheus as early as January. Valve is clearly interested in the possibilities of virtual reality, and it’s a safe bet that Microsoft is hard at work on its own implementation for the Xbox One. Just like motion-based gaming was a massive trend last generation, the VR meme is quickly spreading throughout the entire industry. The promise of lifelike virtual reality is incredibly alluring, but the measure of success comes down to the technical implementation. If the display has too much lag, or if the virtual 3D audio is wonky, the illusion is easily broken. In fact, poorly implemented VR could even cause nausea in a non-trivial percentage of users. If Sony is serious about VR, it needs to nail every single detail right off the bat. Project Morpheus is going to compete head-to-head with the likes of the Oculus Rift, so Sony needs its very own John Carmack: a passionate engineer with a tendency towards perfectionism. If all of the stars align, this quirky little VR helmet could mean a substantial influx of cash for a company that continues to struggle despite the PS4′s early success.